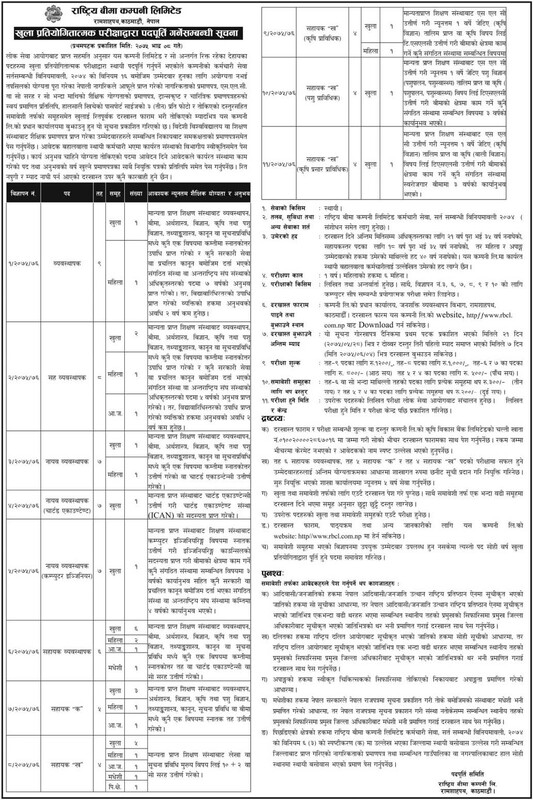 Rastriya Bima Company Ltd. published a notice to fulfill vacancy from open competition. There is the various post with various post level. Here is the Vacancy Announcement, Rastriya Bima Company Ltd. for Various Posts below. Application form and other study materials will available on official website of Rastriya Bima Company Limited. Complete notice is as shown below.